The Iron Horse Corridor was once the Southern Pacific Railroad's San Ramon Valley Branch Line. The line was built in the early 1890s and the first train ran in June 1891. The railroad played a key role in the development of central Contra Costa County. As transportation technology changed throughout the 20th century, the railroad became marginal. Southern Pacific received federal permission in 1978 to abandon the line, and the tracks were removed over the next year or so. Responding to suggestions from the public, Contra Costa County obtained $8 million in state transportation grants to buy the right of way from Southern Pacific. The County bought the right of way gradually from 1983 to 1989 to preserve it as a trail, utility corridor, and a future rail transit route. 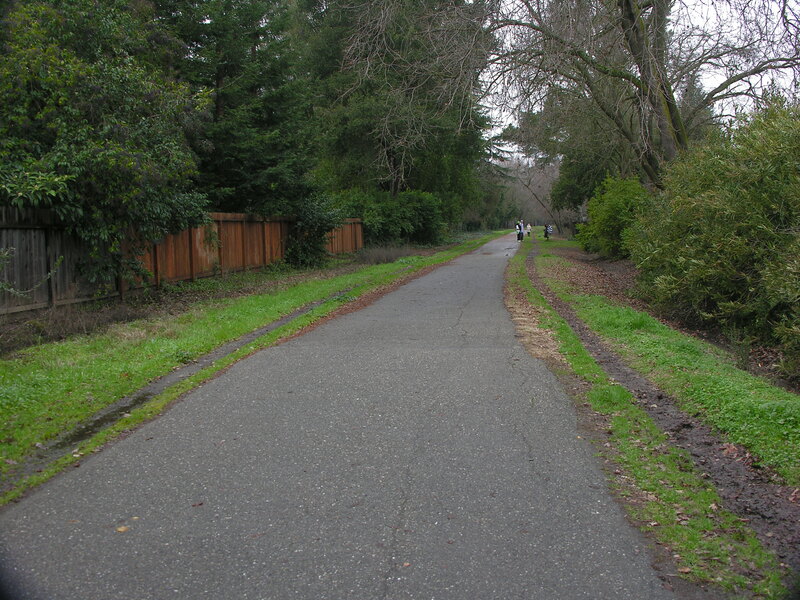 The East Bay Regional Park District had already identified the route as a priority for a future trail in its 1976 Master Plan. After the County obtained the Corridor, the Iron Horse Trail was created and opened for public use through the combined efforts of local community groups and government agencies. One community group, the Right of Way Trail Advocates, played a vital role in focusing on the use of the right of way as a trail.